DC Microgrids: Can They Win Acceptance in an AC World? Direct current (DC) microgrids offer a lot of advantages in today’s digitally networked, electrified world. Yet they face challenges gaining acceptance on the US grid where alternating current (AC) dominates. That’s not to say DC isn’t used. Much of the high-power electrical equipment and machinery used in industry, buildings and transportation worldwide runs on DC power. In homes and offices use of DC-compatible digital appliances, equipment and devices is commonplace. Furthermore, wind, solar and other forms of distributed energy produces, stores and dispatches DC power. The US military is particularly interested in the benefits created by the combination of renewable energy and DC microgrids. 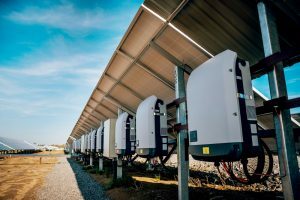 Microgrid Knowledge spoke with two leading, US-based DC power proponents about the latest in DC microgrids, the challenges they face, and how to overcome them. University of Pittsburgh (Pitt), Swanson School of Engineering professor of electrical and computer engineering Gregory Reed is the director of the university’s Center for Energy and Energy GRID Institute. Terence Hill is a member of the board of directors of the US Passive House Institute and the EMerge Alliance, a non-profit industry association working to develop standards and foster commercialization of DC microgrids and power technology. About 5 percent of energy generation in the US is lost as it travels from power plant to consumer, according to the U.S. Energy Information Administration. Transmission and distribution lines aren’t perfect conductors, so energy is lost as charge travels, and losses increase with distance. Another major source of grid energy loss is in transformers as they step down voltages to levels that are safe and sufficient to meet consumers’ needs. Use of local energy resources and DC microgrids can reduce those losses significantly. There are other reasons to use DC power, as well. EMerge Alliance notes that solid-state DC-to-DC power converters with efficiencies of about 95 percent are widely available today. Efficiency is expected to rise higher still once new, wide-bandgap semiconductors are incorporated in power equipment, according to the industry association. Development of DC-DC power converters has solved the problem of how to step up and step down DC voltages during transmission and distribution. The ability to do that has paved the way for development of long-distance, high-voltage DC power lines. EMerge Alliance is working with several groups to develop a worldwide low-voltage DC standard, as well as DC standards for lighting, appliances and DC meters. Partners in the endeavor include the International Electrotechnical Commission, the Institute of Electrical and Electronics Engineers, and the National Electrical Manufacturers Association. Early stage plans envision 380-volt DC electricity to buildings, 48 and 24 volts inside along with inclusion of USB 3.0, according to Hill. “What I found fascinating was the fact that most appliances today, if those that incorporate electronics are included, already require DC. Add to that the fact that PV and battery storage both involve DC and it makes sense to me to combine DC with passive house design and construction. That results in a dramatic reduction in utility load, while at the same time maximizing the rooftop area that can be used to generate electricity,” Hill said. Heating and cooling needs of US houses can be reduced by 90 and 50 percent, respectively, on average if built in accordance with Passive House principles and design standards, according to Hill. Maximizing rooftop space for solar PV generation would take the vision of optimal energy efficient design to the next level. In addition to reducing in-house electricity loads, which are on the rise due to the growing number and increasing use of electronics devices, solar energy households could contribute clean energy to neighborhood, community and broader-based DC microgrid networks, he pointed out. 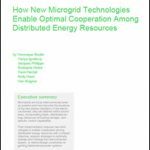 Furthermore, this would pave the way for residential DC microgrids and microgrid networks. Surplus power and network resources, such as energy storage capacity, could then be aggregated and used to provide grid services at local and larger scales, he added. DC nano- and microgrid tests, demonstrations and commercial installations are up and running the world over. ABB, Bosch, Siemens, Schneider, S&C, ARDA Power, Fraunhofer and Duke Energy are at the forefront of advancing DC power and microgrids, Hill said. Generally speaking, efforts to deploy DC are more advanced in developing countries, he added. However, progress on the DC front has been slower than might be expected. Prominent among the challenges: “There’s a lack of funding that’s needed to do a good job of getting the message regarding the value of a DC approach out, especially here in the US where there does not appear to be any appreciation for what appears to me to be a huge market for DC systems in the developing world,” Hill said. “One article I read said that there are 3 billion people with either no energy access (1.3 billion), to electricity, intermittent access (0.7 billion) or still cooking with fossil/dung fuels (1 billion). I know the Chinese and the Europeans are looking at this but not, apparently, the US,” he added. 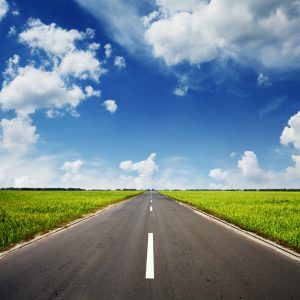 Another problem is lack of industry standards, or rather a profusion of proprietary standards, according to Reed, who has served as EMerge Alliance’s chief science adviser for about a year. Developing standards is necessarily a slow, gradual and painstaking process given their complexity, broad scope of applications and the number of market participants involved, he said. Establishing voltage standards is one of the main issues EMerge Alliance and other organizations are working to resolve. Voltage requirements differ as electricity makes its way from generators, across networks of varying distances and then further downstream to power public infrastructure, industrial plants, commercial facilities, office buildings, shops and homes, for example, he explained. “With an all-DC installation, the metering is going to be different from that we have today. There’s no standard that specifies exactly how that works. The accuracy of consumption in DC mode has to be exactly right when a utility looks to charge and bill customers. That’s just one of the issues we’re working on,” Reed said. The issue of standardizing voltage for DC power systems takes on broader-based significance. “What’s the parallel to 120V/60 Hz AC power in DC terms? Is it 380V, 24V, 12V? There might not be a single equivalent animal. We may wind up with a couple of different numbers, perhaps lower voltage standards for lighting as compared to DC appliances,” Reed explained. The lack of certified DC power equipment, household and consumer devices and the lack of trained, experienced professionals are other key issues DC proponents are working to resolve. “Say you and I want to build an all-DC microgrid or electrical system. We’re going to find that it’s difficult to identify an architect, electrician and builder, and refer to a code that specifies how that needs to be done. We’re in the process of resolving these issues as an industry, but a lot of work remains to be done,” said Reed. Proponents remain optimistic that DC will eventually come to rival AC in power grids and electrical systems. 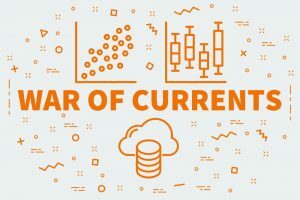 They highlight the higher energy efficiency and other advantages DC power systems offer when moving power long distances and its potential to advance sustainable energy agendas. DC microgrids and electrical systems lie at the core of several, potentially landmark projects Pitt’s Center for Energy and Energy GRID Institute are involved in. Perhaps most notably, that includes Pittsburgh’s plan to develop the US’ first, city-wide grid of microgrids. Sitting on the boards of EMerge Alliance and Passive House Institute US, Hill has the benefit of a broad-based perspective on DC microgrids and power systems. Supporting Hill’s belief, EMerge is developing a DC electrical systems standard for Passive House, the ultimate goal of which is nothing less than decarbonizing the building sector. The Passive House concept originated in Germany and has evolved into a voluntary standard for designing and building houses and other buildings that use a minimal amount of energy and have a minimal ecological footprint. “Imagine the following: a city/town block of say 30 homes, all built new or retrofitted (the latter which the utility paid for) to the Passive House standard (90 percent less energy for heating, 50 percent cooling from today’s ICC standard), each with PV and storage and an all DC infrastructure, including DC appliances and a residential, renewable DC fast charger linked via a DC, ‘island-able’ microgrid,” Hill said. Building peer-to-peer microgrid networks that link energy producers and consumers from the residential to the local utility and perhaps national and regional grid levels could pave the way to “eradicating energy poverty, establishing a road map forward to energy democracy and siting the stage for greatly enhanced grid security and resiliency,” Hill concluded. Yes or no on DC microgrids? 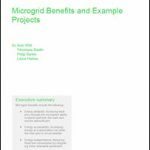 Post your thoughts below or on our Linked Group, Microgrid Knowledge. Terry Hill is a colleague of mine in Phius. Of note is that my team just finished a multi-unit Nanogrid called Sol Lux Alpha. The building is designed to generate more energy than it uses soley from the PV trellis over the roof, making it a “Carbon Netral Living + Transportation” system. We did not use DC systems in this project, but intend for next gen projects o be AC/DC “Hybrids”, and eventually move to full DC systems. John, congrats with great results. DC is a real blood of the local power system. It is just need to have a specific electric load.. The “lack of standards” problem is a misnomer. The real problem is there are too many standards to choose from. Everyone makes their own. Builders and architects dictate what infrastructure goes behind the walls. LumenCache solves the anxiety problem by creating a platform that allows any standard to be used per device connected to power. It extends this to the communication protocols challenge as well so the same “which wireless standard should we choose” problem is also alleviated. It also embeds a tiny bit of energy management that is needed for power delivery behind the meter to cooperate with the power supply, whether it be grid or battery & solar. Incorrect Tripp Tucker, a long distance DC power line has lower losses than AC. Since last three years in Pakistan I have designed (and using & sold ) 1 and 5KW DC UPS that emits (frankly) zero-heat during load or battery charging. My brother in Tx got a patent for it. I say, Cut the AC show biz, get DC.